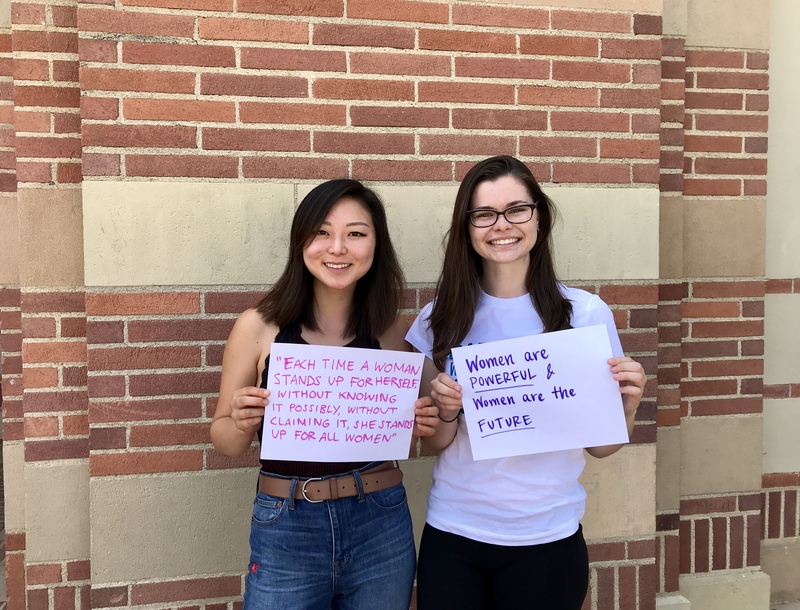 Bridget Brown and Alexa Lee are the two co-directors of the volunteer organization Women and Youth Supporting Each Other (WYSE), a national organization that pairs UCLA women with middle school girls in 7th and 8th grade. The student-run mentorship program seeks to provide support and empowerment to middle school girls to take initiative and foster change within their respective lives and communities. A hallmark of the organization is to foster dialogue according the the WYSE national curriculum, which encompasses topics that facilitate the improvement of self-esteem, body image, critical thinking, and leadership. To Bridget, a third-year student studying political science with a minor in public policy, feminism is the supporting of fellow women. A fundamental component to this is recognizing the intersectional experiences of women, and supporting individuals who face obstacles in addition to gender, including race, sexual orientation, gender identity, and income. To Alexa, a fourth-year who is studying english with a minor in cognitive science, feminism is the equality between the genders. Given the history of patriarchy, a critical component to feminism for Alexa is recognizing that it is not simply a philosophy that one reads about in the classroom. Rather, feminism is a lifestyle and a practice that one must consciously execute everyday. 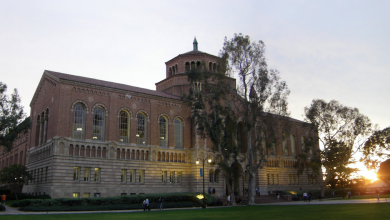 Alexa’s feminist awakening occurred during her freshman year at UCLA. Throughout high school, Alexa knew that gender equality was a good thing; however, it was not until college that she realized how wide-scale and institutionalized the obstacles facing women are. Her initial experiences in higher education illustrated the de facto microaggressions that women face on a daily basis. On the other hand, Bridget’s evolution into a feminist was gradual, continuously reinforced by the gendered transgressions that she faced and recognized as such, beginning at a young age. Bridget was able to recall a white, male teacher in middle school telling her that she raised her hand and spoke too much. When she told her parents, they gave the explanation that sometimes older generations expect women to be more quiet and not express themselves. These experiences continued throughout high school and into college, where gendered transgressions continue to be pervasive. For many, if not most, the movement and ideology of feminism have had significant impacts on an individual’s life. For Bridget, the movement for gender equality has given her hope for the future. To her, it is truly inspiring to see the progress and evolution of feminism, and its continuing vitality. Like many of the women Bridget surrounds herself with, feminism is a mission that she is committed to and actively pursues. In a more developmental context, Alexa draws on the impact that feminism has had on the experiences of becoming a woman and growing up. It has helped her learn to recognize the internalized sexist projections of others and even the limitations she places on herself as a product of gendered social standards. Through feminism, Alexa has also come to learn the infinite perspectives that are encompassed by feminism, which make the movement both necessary and important. There is no cookie cutter mode of life, and feminism looks different for everyone. 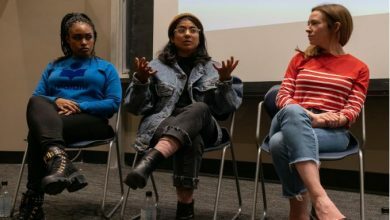 Being co-directors of WYSE, Bridget and Alexa’s understanding and emulation of feminism continues to evolve from their experiences in the organization. The goal of WYSE is to foster a safe, supportive space that prepares students to make informed and independent decisions by providing them with the information that they need. As Bridget notes, the relationships mentors cultivate with their mentees can be incredibly valuable, as it lets these young women know that they are important and that someone is looking forward to seeing them every week. One of the most eye-opening contributions of WYSE for Bridget and Alexa is the realization that, despite their young age, middle school girls are incredibly “woke”. Students of this age group are more often than not disregarded by their elders. 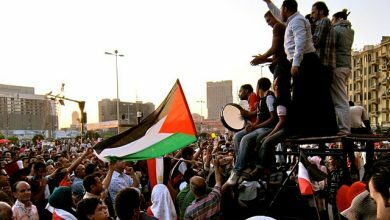 However, they are increasingly more alert and knowledgeable about the culture and events that surround them. Because of this tendency to exclude younger people from activist movements such as feminism, both Alexa and Bridget view WYSE as a mechanism of involving younger girls in the movement for gender equality and making them aware of the current social climate. These young women are the future, and to provide them with the information and skills needed to continue this movement is critical. Both of the WYSE co-directors also hope to see the feminist movement become more inclusive towards younger demographics, and more initiatives taken to engage younger people, men and women alike. Additionally, both Bridget and Alexa view the Me Too movement – the campaign to shed light on the prevalence of sexual assault, which began in 2006 with the particular intention to help survivors of color from low wealth communities – as a pivotal point in the progression and future of feminism. For Alexa, this past year has evoked anxiety given the revealing of gender-based violence, which in some instances has been difficult to cope with. At this point in time, Alexa has never been more proud to be a woman of color working in spheres such as literature, media, and the arts, and has gained a lot of personal heros. She hopes that this is an ugly transition period that is necessary in order for there to be a new wave of women empowerment. 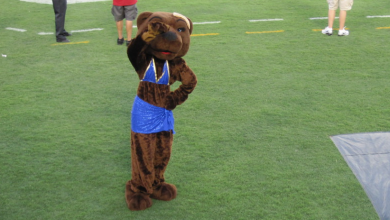 On a similar note, Bridget is glad to see the pervasiveness of sexual harassment garnering national attention. She hopes that the truth continues to be unveiled, that drastic steps are taken to move towards a solution, and to see a transformation in the culture that has enabled gender violence to be so widespread. To these two feminist leaders, it is critical that the enlightenment that they gained in college is achieved at an earlier age. Young women should not have to endure decades of gender-based microaggressions before understanding and becoming involved in the feminist movement.